Put on my blue suede shoes and I jumped into the car…Touched down in the land of the Delta Blues, In the middle of the pouring rain. Ok, this was Chikamagalur but it will do for now. 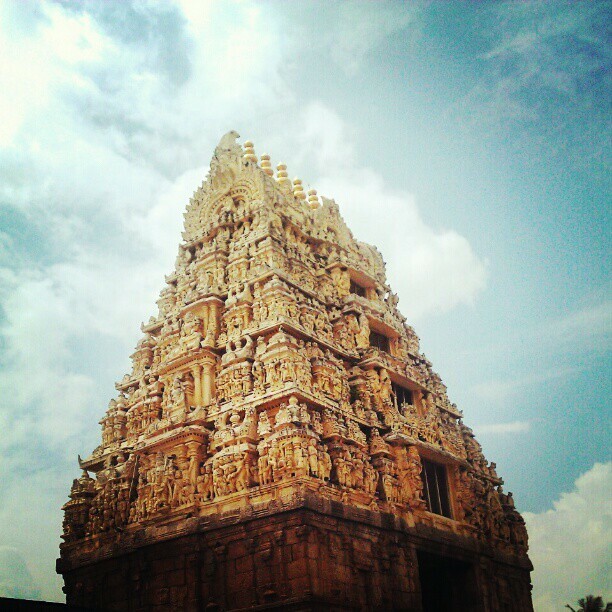 Sunday was the birthday and all I wanted to do was drive down to the temple towns of Belur & Halebeedu. K obliged and off we went: Belur is 30 km away from Chikmagalur and Halebeedu another 15 kms ahead of Belur. Belur & Halebeedu are known for the temple complexes dating back to the Hoysala Empire. Wikipedia tells me, It was built by king Vishnuvardhana in commemoration of his victory over the Cholas at Talakad in 1117 CE. Legend has it that it took 103 years to complete and Vishnuvardhana’s grandson Veera Ballala II completed the task. 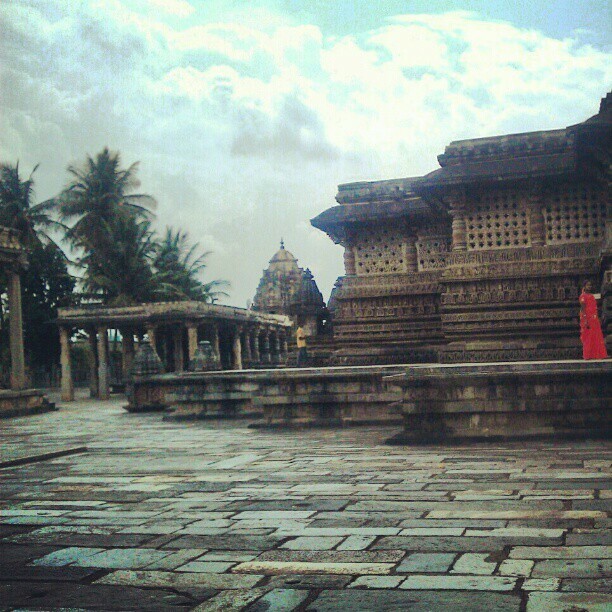 At Belur, I was overwhelmed by the magnificence of the temple, the attention to detail and the history of the area. A perfect way to spend my birthday. Halebeedu, on the other hand, is a study in disappointment. The craftsmanship itself has improved - the elephants look more elephant-like, the horses have more detailing on their faces, the humans are more proportionate. Interestingly, there are no expressions on the faces in both the temples - all staid, bored Indian gods. Then you also see cornerstones that have been left out, there’s less attention to detail and you come back saddened. For example, this unfinished panel we came across (it’s also the last picture above): The one on the extreme left has a ton of intricate detailing - curves and dots; the fringe in the middle has the bare minimum - just curves with very little detailing, the third one is a smooth stone. The Halebeedu startup had run out of funding. Belur was glorious, Halebeedu was all about ruination. Chikmagalur- Chikka+Magala+Ooru literally means ‘Younger Daughter’s Town’. It is said to have been given as a dowry to the younger daughter of Rukmangada, a legendary chief of Sakharayapatna. 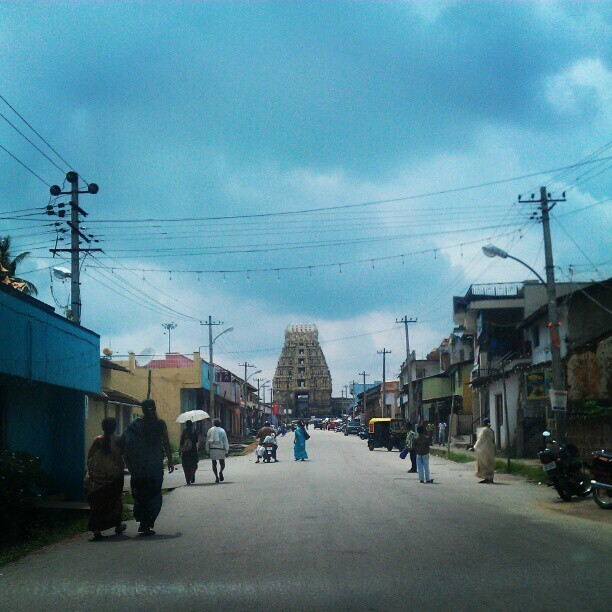 I also saw a gopuram styled structure that welcomed visitors to Hiremagalur. 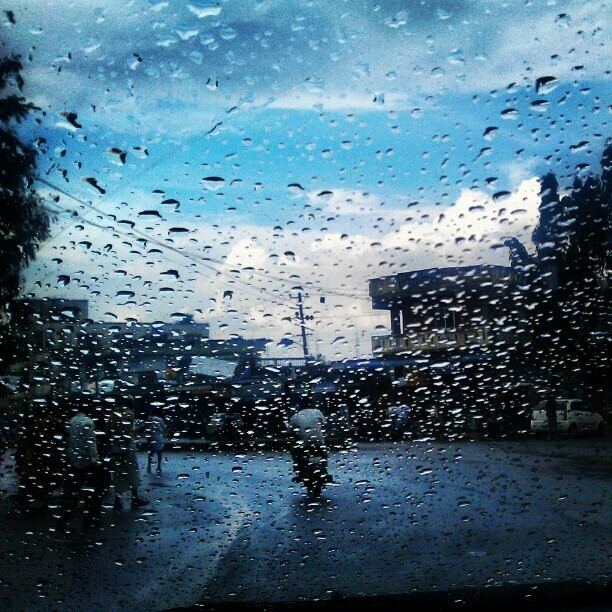 Quaint Chikmagalur city now is all of 2 roads - Indira Gandhi Road and MG Road. It also has a stunning piece of modern architecture: a multi-coloured mosque located just behind the BP on their high street, IG Road. Even more distasteful are the hoardings plastered all over the town about Congress and their resounding success in the region. Ugh. Because it is after all the constituency that elected Indira Gandhi in a by-election in 1978 after she lost the 1977 election in Rae Bareli, paving the way for her eventual return to power in 1980. Since I don’t scrunch my nose at the thought of chicory in my filter coffee, we picked up Panduranga coffee from a store of the same name on IG Road. Legend has it that Hazrath Shah Jamaal Allah Magatabi, later known as Baba Budan went to Mecca on a pilgrimage around 1600 AD where, intoxicated by the fragrance of the coffee flowers, he smuggled seven coffee seeds in the fold of his robes, out of Yemen. On his return to India, he planted these seeds around his mountain abode on the Chandradhrona Parvatha, near Chikmagalur. The plant took root and thus was born the Coffee Industry in India. This place is now known as Bababudangiri.